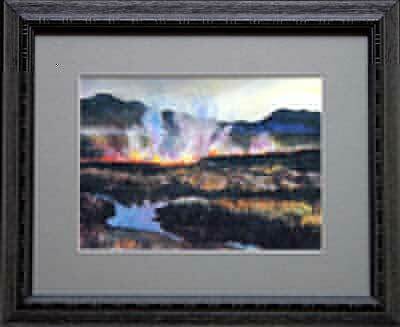 Image size: 8" x 14"
Print size: 12" x 16"
Framed size: 14" x 20"
Image size: 14 3/4" x 24"
Print size: 17" x 28"
Framed size: 19 1/2" x 30"
Born in Rosell, New Mexico. Hurd studied at the Philadelphia Academy of Fine Art and in Chadds Ford, Pennsylvania under N.C. Wyeth, renowned illustrator. 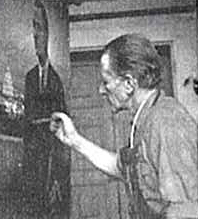 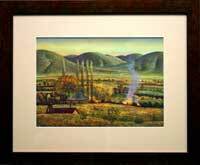 Hurd acheived the best expression of his personal vision in the paintings of his much loved village of San Patricio, where in the 1930s he built his home, Sentinal Ranch. 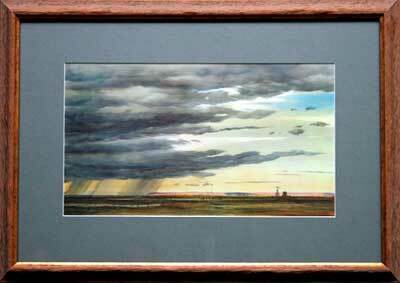 Today Peter Hurd is acknowlegded as one of the foremost painters of light and atmosphere of the Southwest.